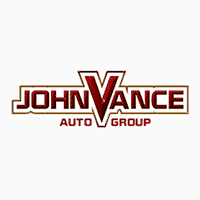 Thank you for choosing Vance Chrysler Dodge Jeep Ram located in Miami, OK, where we one of the best selection of brand new Chrysler Dodge Jeep Ram models for sale. We have extended our selection of Chrysler Dodge Jeep Ram vehicles to give you more options when shopping for a new car, truck or SUV. If you have any questions regarding any of our new or used cars for sale or need help with financing, we are here for you. To better serve all of our customers, we give you the ability to receive a new car quick quote on any Chrysler Dodge Jeep Ram vehicle straight to your inbox. If you do not see a specific model vehicle, we can order it straight from the manufacturer for you at no additional cost. Simply fill out the form below and get quotes for any new Chrysler Dodge Jeep Ram model today!